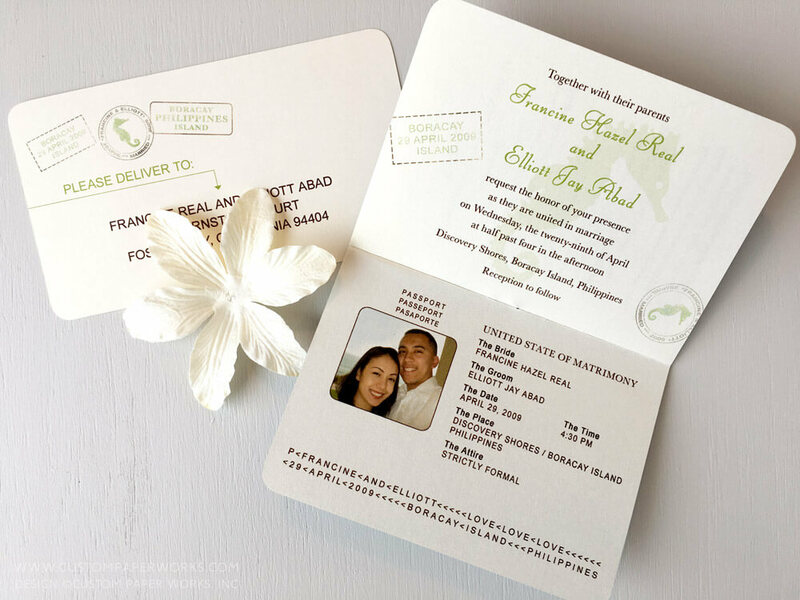 Francine was my first client to use gold foil on the front covers of her passport wedding invitations. I guess you could say she’s a major trend setter! 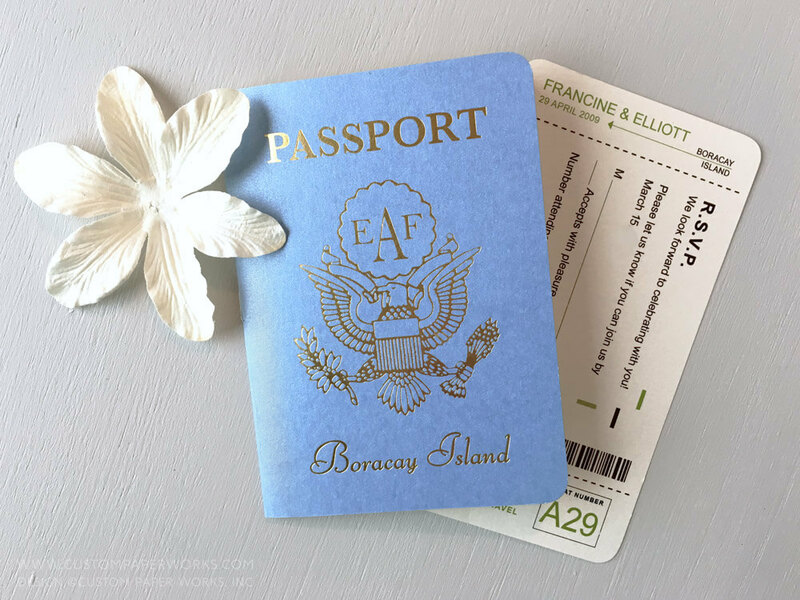 With a periwinkle blue and green color scheme, they’re airy and tropical, fitting for their Discovery Shores wedding on Boracay Island in the Philippines. They wanted to include a seahorse design, and I used that art as a watermark and within the faux visa stamp artwork that was created just for them. Francine sent me their wedding video, which was created by the talented folks at Mayad Studios. I just love it! Maybe that has a little something to do with her invitations and place cards being the first few scenes. 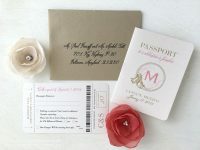 Always ask your photographer and videographer if they can include some detail shots of your invitations, flowers and venue and you will have a complete picture of the day to look back on. The video also includes a peek at the place cards they ordered to coordinate, which was just one of the many pieces they took to their destination wedding in Boracay. 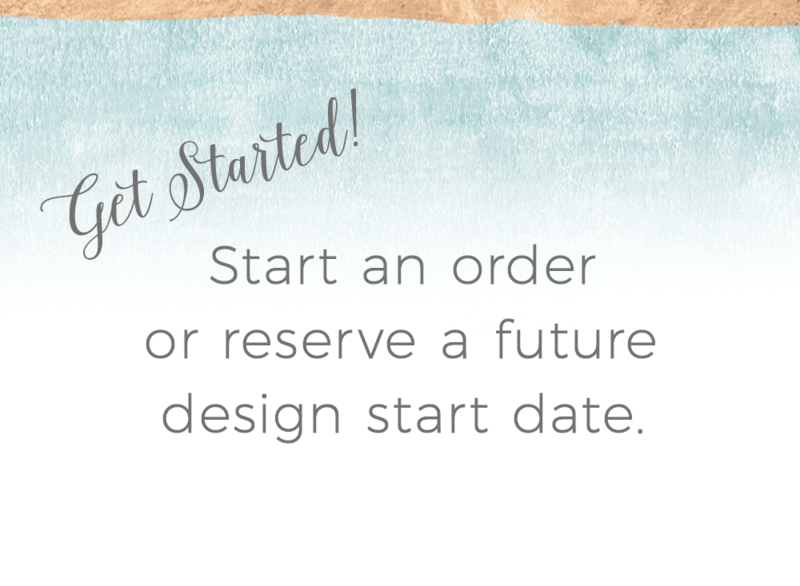 Table numbers, wedding programs, and favor tags were all custom-created to coordinate with their original invitation design and colors.